CHOOSING economic growth over protection of rich forests, the ministry of coal has written to the Cabinet secretary against demarcation of coal-bearing mines as “go” and “no-go” zones. 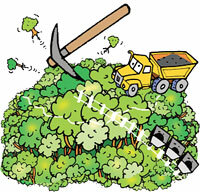 In June, the Ministry of Environment and Forests (MOEF) had set rich forests as out of bounds for mining. As a preliminary exercise, the environment and coal ministries identified 35 per cent area of nine coalfields as no-go zones. These coalfields were in six states, including Chhattisgarh, Jharkhand and Orissa. The demarcation was aimed to protect forests and help industries get clearances faster. But the demarcation faced sharp criticism within the government itself. “With the exception of MOEF, all ministries, Planning Commission and Prime Minister’s Office favoured the coal ministry’s decision because no-go zones would be detrimental for economic growth,” a coal ministry official said. The letter to the Cabinet secretary states of the 602 coal blocks in 6,487 sq km area, 203 coal blocks in 3,039 sq km have production potential of about 660 million tonnes per annum. Objecting to the mines flush with coal being marked as no-go zones, the letter argues that 660 million tonnes per annum production of coal is equivalent to 1,30,000 MW of power generation capacity, which is crucial to meet power generation targets. “As of now, there is a surge in growth potential in India and most sectors are on the rise. Curtailment of energy source will result in the country missing growth opportunities,” the letter states. The coal ministry has suggested a small percentage of forestland to be kept inviolate and allow mining in the remaining areas. It has asked the Cabinet to suggest MOEF to “consider all coal blocks without reference to go and no-go areas”. Environmentalists have protested scrapping of the demarcation. “Government will always keep economic growth over environment. If the first attempt itself has witnessed stiff resistance, it is unlikely that environment issues will get positive response in future,” said Preethi Herman, climate and energy campaigner of Greenpeace. The Cabinet is likely to take up the matter within a few weeks. But the final call will be taken at the Prime Minister’s Office, sources said.